Authorized news organizations may publish this photograph with this Inside Science story. (Inside Science) -- The leverlike guitar accessory known as a whammy bar is best used to bend and distort a single note -- think Jimi Hendrix's famous rendition of the Star Spangled Banner from Woodstock 1969. 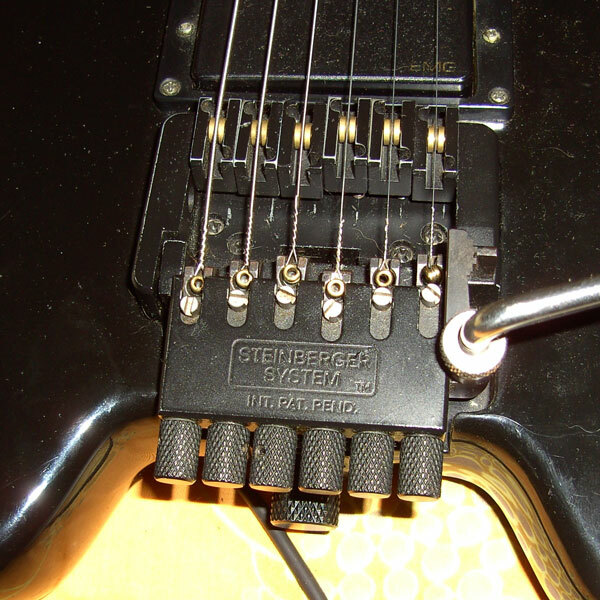 But it doesn't sound very nice if used when playing multiple strings simultaneously, such as when strumming a chord. 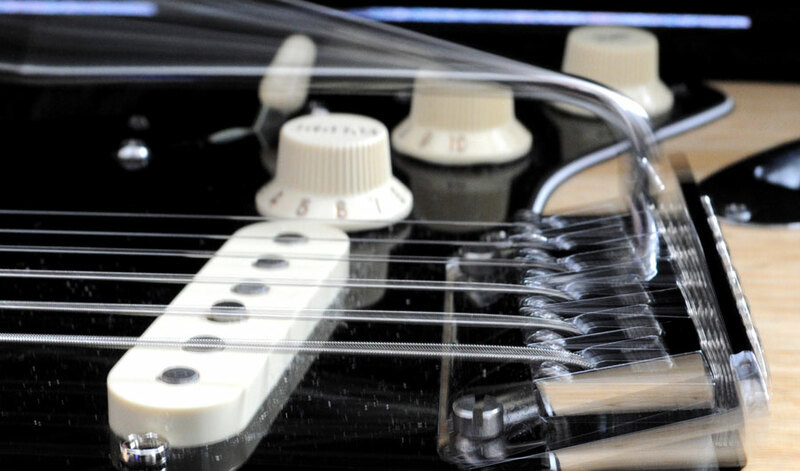 To solve this problem, a researcher from the U.K. has engineered new guitar strings that respond tunefully and as a group when you use a whammy bar. "I haven't noticed that much difference in the feel of the strings -- they actually feel pretty similar to ordinary strings -- but I really began to notice the difference when I used the whammy bar," said Mark McGuigan, a guitar teacher and reviewer. "You can actually change the pitch by a lot more using an effects pedal -- by a fifth or even octaves -- but there're still little sonic flaws here and there that are noticeable, because it's a digital effect. This just sounds a lot more natural." Beyond the whammy bar, the new strings also have a more uniform sensitivity to temperature changes -- because they all change pitch by the same amount. This can come in handy for an acoustic guitarist busking outside during Christmas or an upright bassist playing jazz next to a fireplace. With the long road of international patent processing ahead, Kemp said that he has not yet developed a plan to make the strings commercially available. In the meantime, don't let that stop you from rocking out on the whammy bar. After all, Jimi Hendrix did it in 1969. As Frank Zappa sang in his 1979 hit "Joe's Garage" -- all you need is "a Stratocaster with a whammy bar!"